OSHA’s guidance bulletin emphasizes that the temp agency and the host agency are joint employers, and therefore, both are responsible for ensuring that temporary employees are properly protected against the sudden release of stored energy. However, the level of responsibility differs. The temp agency can meet its responsibility by providing generic lockout/tagout information to its employees and by also inquiring about both the hazards to which its employees will be exposed and the protective measures the host employer has implemented. The more comprehensive responsibility rests with the host employer, which must ensure that temp employees working with or near hazardous energy equipment receive the same training and benefit from the same protective measures provided to permanent workers exposed to the same hazards. 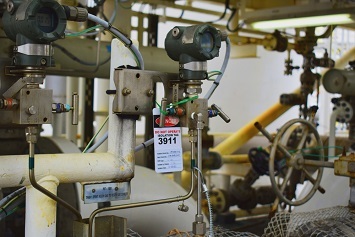 The Lockout/Tagout standard is intended to control hazards associated with all manners of energy, including electrical, mechanical, hydraulic, pneumatic, chemical, and thermal. Employers must develop, implement, and enforce written procedures for shutting down and isolating machinery and equipment that are capable of being locked out. If the machinery/equipment cannot be locked out, the employer must develop, implement, and enforce a tagout program. Other requirements include training employees in the programs, identifying on the lockout/tagout devices those employees authorized to use the lockout/tagout machinery/equipment, and implementing and enforcing additional procedures when the applicable machinery/equipment is tested or moved and when outside contractors work at the site. Before beginning work, the host employer and temp agency should jointly review the task assignments and job hazards to identify, eliminate, and control hazardous energy releases and determine the coverage of temporary workers by a lockout/tagout program. The employers may decide that a division of compliance responsibility may be appropriate. The details of the protections and training to be provided can be clearly established in the contract language between the employers. While the employers may agree to divide responsibilities, neither employer may avoid its ultimate responsibilities under the Occupational Safety and Health Act (OSH Act) by shifting responsibilities to the other employer. The host employer is in the best position to ensure compliance at its worksite and protect temporary workers by taking all necessary steps to ensure compliance with the provisions of the Lockout/Tagout standard. The temp agency must inquire about the hazards to which its employees will be exposed. In addition, the temp agency must ensure that the host employer has a site-specific lockout/tagout program that protects the temporary workers against the potential for hazardous energy release at the worksite and provides site-specific training to the workers. Similarly, the staffing agency should communicate with the temporary workers to ensure that they understand the lockout/tagout policies and procedures. The host employer must fully inform the staffing agency of any expectation the host employer has that the staffing agency has provided the temporary workers with training regarding both exposure to uncontrolled energy and lockout/tagout policies and procedures. The host employer must also confirm that the staffing agency is aware of any changes in workplace hazards. If a temp employee does not actually service or maintain hazardous energy devices but works in an area where lockout/tagout procedures are in effect, he or she is an affected employee who must also receive training (see 29 CFR 1910.147(c)(7)(i)(B), which states, “Each affected employee shall be instructed in the purpose and use of the energy control procedure”). The guidance provides a scenario wherein the temp agency shows its employees a general safety video but does not obtain assurances from the host employer that the employees will receive requisite lockout/tagout training. The host employer assumes the workers have the needed experience and does not provide training; neither does the host employer inform the temp agency about the need for hazardous energy controls. Shortly after the assignment begins, a temp worker suffers a finger amputation while cleaning a machine that was not locked out. OSHA indicates that the host employer may be subject to citations, implying that the temp agency is less liable. But the scenario is a classic example of two parties making unwarranted assumptions about each other and emphasizes the need for thorough communication on all relevant safety procedures before the temporary assignment begins.